This topic contains 10 replies, has 8 voices, and was last updated by steve 4 years, 3 months ago. I propose a Vote Who is more evil Mr. Raines vs Mr. Lyle also Who is more creepy Mr. Raines before or after he claims he found GOD. This is a great idea, how about we set up a poll for this? I definitely vote for Raines. He did help to turn Lyle into so he is. We’ve moved this to on going projects, so anyone can suggest other votes and polls. What format would be the most believable return, if the original tP series were to come back? 2. original cast – post 4th season – movie –>fantastic, but would we go for it with older characters/actors? Would you accept a grey-haired Jarod? 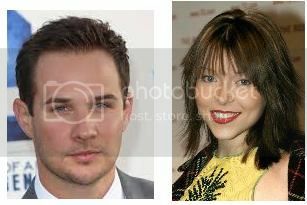 Yes, that’s easy to change… or Ryan Merriman would be like adult Jarod now, right although he’s “the boy” clone? 3. new cast – post 4th season – movie –>new cast new characters, or new actors playing our beloved characters? Did The Centre raise another Pretender who escaped? A poll for this is a great idea.